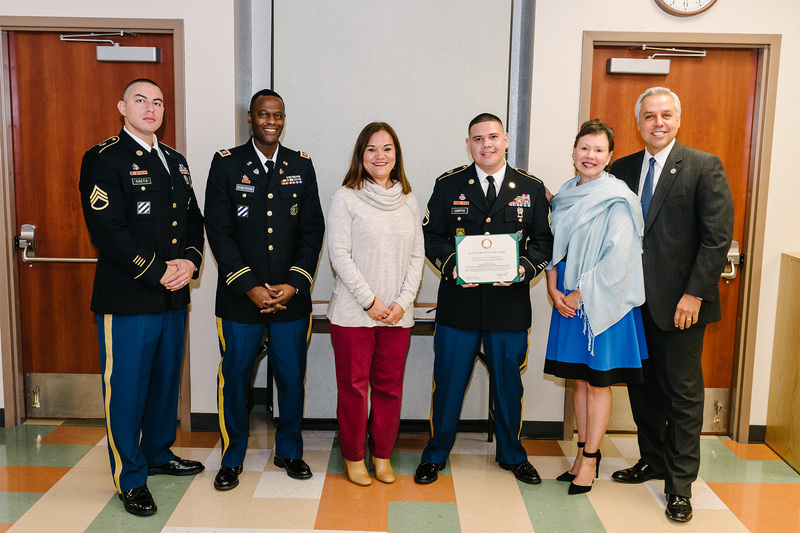 The United States Department of the Army awarded HCISD Superintendent Dr. Art Cavazos a Certificate of Appreciation for Patriotic Civilian Service on Jan. 16, for his support of the men and women in the U.S. Armed Forces. Presenting the recognition was Staff Sgt. Campos, a local Army recruiter. Every year at the June regular board meeting, HCISD honors students who have answered the call to serve. Enlisting in the armed forces is one of many options available for students preparing for life after high-school graduation. The United States Army offers many college benefits and career opportunities. The Patriotic Civilian Service award is given to individuals who significantly contribute to the success of the U.S. Army’s mission and keep with the finest traditions of patriotic service.